Lots of items have been added to the sale category for a Summer spring clean! Grab it before it goes! 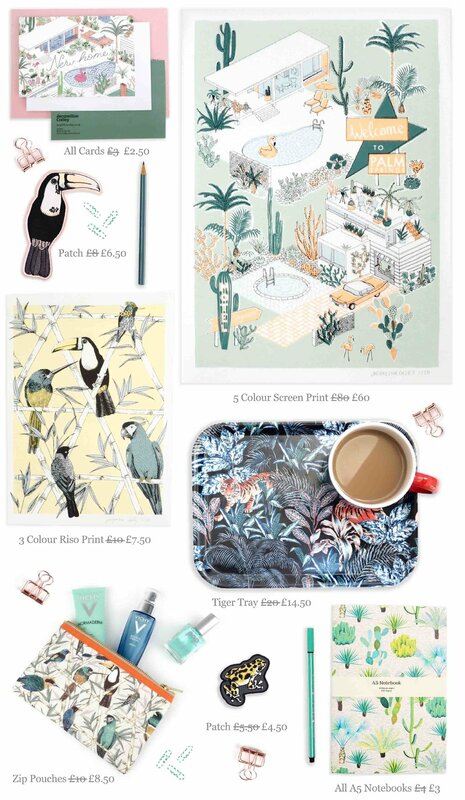 Cute printed stationery, wash bags / pencil cases and prints all with free delivery to the UK!